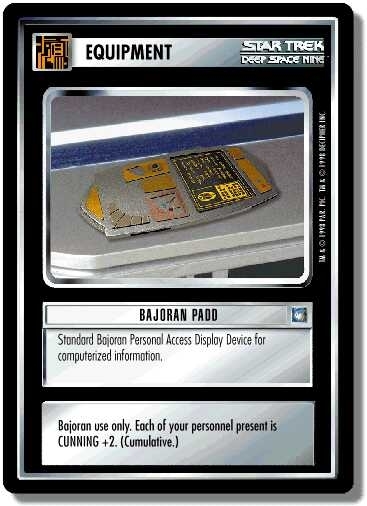 Standard Bajoran Personal Access Display Device for computerized information. There are 17 entries for Bajoran PADD (ST1E 5 C 45) at the Tradeplace (48 haves and 4 wants). Click here to see all trade list entries for this Common card!